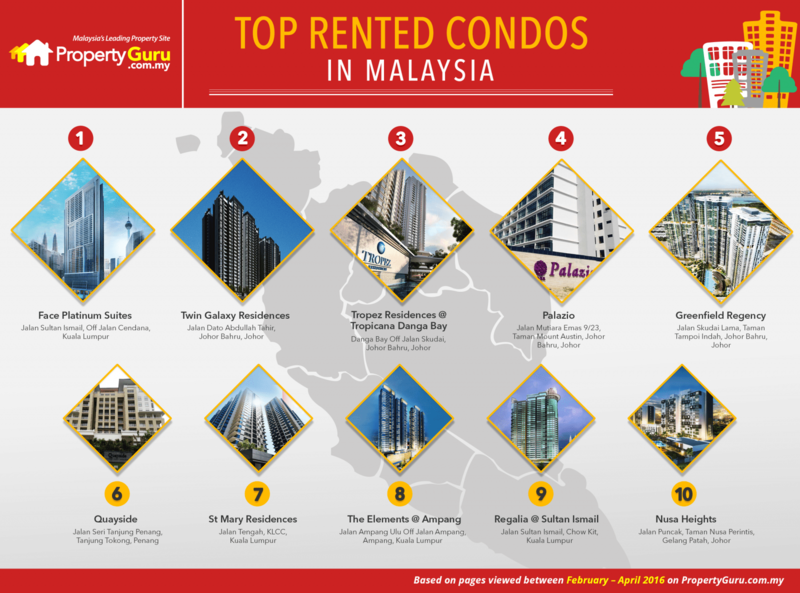 According to an infographic released by PropertyGuru, the Face Platinum Suites tops the list as being the top rented condo in Malaysia. Four of the highly rented high-rise residences are located in Kuala Lumpur. Meanwhile, five top rented condos’ are located in Johor. 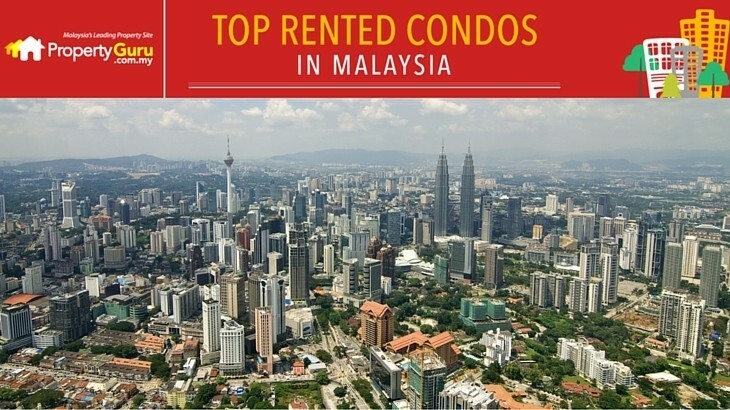 Besides KL and Johor, there’s one condo in Penang, Quayside, which manages to enter the list as well. Face Platinum Suites is an elegant high-rise residence situated in Kuala Lumpur, which is located just minutes away from KLCC. Highly preferred due to its strategic location in the city centre, this 51-storey building consists 733 units in total. Developed by Golden Oriental Realty, this residence in Johor consists of two 35-storey towers with a total of 668 units. Located within a short stroll from a myriad of amenities, the Danga City Mall KTM Station is located merely walking distance away. This is a freehold luxury condominium project, which consists of two 38-storey towers and a 28-storey tower. Consisting a total of 1,149 units. this residence is located in Danga Bay, an upcoming township in Johor, which has easy accessibility Singapore. Palazio is a high-density development in Johor, which offers a total of 6 blocks. Developed by Mayland Austin, this residence is strategically located nearby many amenities; and it takes about 30 minutes to reach Johor CIQ. Located in Johor, this freehold condominium consists of 2 towers with a total of 561 units. This residence is located 30 minutes drive sway from the Johor CIQ, which links to Singapore. Quayside is a serene seafront resort condominium development located in the popular tourist haven of Tanjung Tokong. This residence comes with a myriad of facilities which includes a waterpark, 7 acres of landscaped gardens and an open park. St Mary Residences is a new serviced apartment development located in the popular hotspot in Kuala Lumpur adjacent to the famous Petronas Twin Towers. The development consists of three 28-storey apartments that house 457 residential units. The Elements is a high-rise luxury condominium located in the vicinity of Ampang Hilir in Kuala Lumpur. The condo comprises of 1,040 residential units and highly accessible via several highways and LRT stations. The Regalia is a freehold serviced residence located in Kuala Lumpur. This residence is situated within the KL city centre and is a few minutes from the Putra World Trade Centre (PWTC). There are commuter stations and LRT station within a short walking distance. This property comprises of 5 blocks which house a total of 910 units of service apartments. Nusa Heights is located just minutes away from several country clubs, Educity and Legoland.